Since it is near the end of the year 2013, a good time for browsing through files, going over the past, readying for the future, I came across this item in my folder. In 2005: I found this poem while cleaning out the attic for the big move to the South. This is how son Kenneth Bice Morrison wrote and set the poem six months before he passed away in an auto accident. Hopefully the young woman he wrote it for happens to read it. and a bull fight in Sanlucar. going for a ride in a rent-a-car. your fear of height in a tall church tower. It does NOT have to be this way. . .
What is it about purple socks? I began wearing purple-colored socks and only that color, at least 10 years ago. I first came across them at the Columbus Farmers’ Market in New Jersey. They have a huge flea market outside covering acres of new and used items on Thursday, Friday and Saturday. The Sox Lady there makes her own socks and brings them to the market each week. I bought a dozen pair, all the same; all from the same dye lot. No longer would I have to go searching for a mate. Just reach into the pile and pull out two socks. Voila`. A matched set. I have no idea where the idea of wearing purple socks came from or why I chose that color and not pink, orange, or my favorite color, green. If you know, please let me know. I liked her instantly. Was it the shared love of purple socks? Did it mean more than two people liking the same thing? We chatted casually, half listening to Mr. Johnson on the air. We met again briefly, a year or two later, at a Warren Artists’ Market (WAM) poetry slam in the Warren County Memorial Library. Her teenage son Noah was reciting that night. He sounded like a natural, words rolling off his tongue without effort. At least it seemed to me to be without effort. Another few months passed before our next meeting at the Senior Center where I had arrived a bit late. I say a bit late because Sharon had invited me on that first meeting, to come to the Center and give a workshop on writing. Stuff kept cropping up, getting in the way until the invitation faded in my mind. 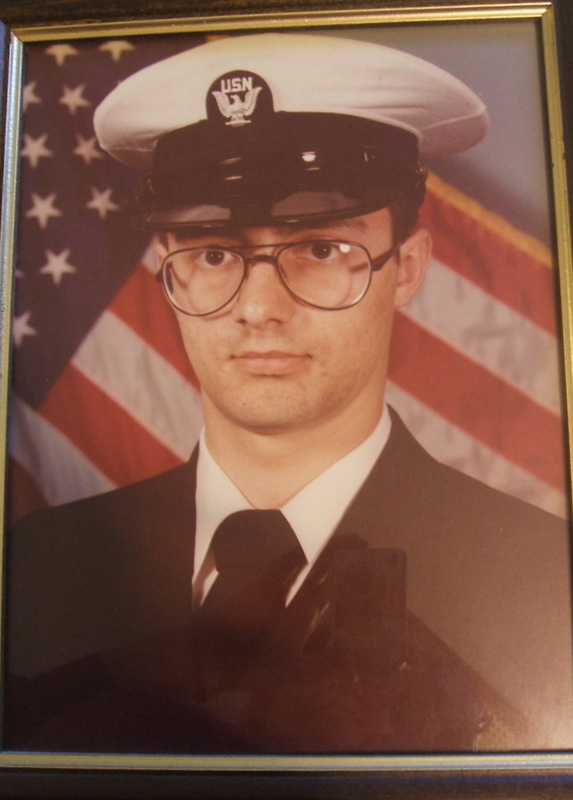 Now I was there to team-teach writing, poetry mixed with memoir. I realize that when a path is laid out, I may drift away from it, but I will get back on it because the path is still there, waiting. And I was delighted to see Sharon was still wearing purple socks, as I was, too. So it began. We sent out invitations to writers we know across the country. Following is a list of the people whose talented words you will be reading in poem or prose form in Sitting with a Drunken Sorceress, the title poem of Thomas’. We were working toward a totally unrealistic publishing date of June 2013, but then writers often work with fantasy. So we pushed the date ahead to September which could possibly have been attained. But alas, the little leprechaun that lives in my house, popped up to cause a few more road blocks. He likes me to know he is alive, well and in control. Our dear friend, greatly talented artist JA Person was to have his original art work on the cover of the book. In between taking photos of his art work and getting his written permission, JA died. Suddenly. Out of respect for his talent and our friendship, we attempted to have someone in the family sign over one-time copyright for the piece. Sadly, his aging mother passed away shortly after. We extended the deadline again to come up with new cover art. Next we planned a Holiday Season release just in time for gift-giving. OMG! The ‘proof’ came back from the printers with the uncorrected copyright page showing JA’s name. Uh-oh. The manuscript had to go back to the printer with the correct information. Uh-oh. The second ‘proof’ was not corrected, either. 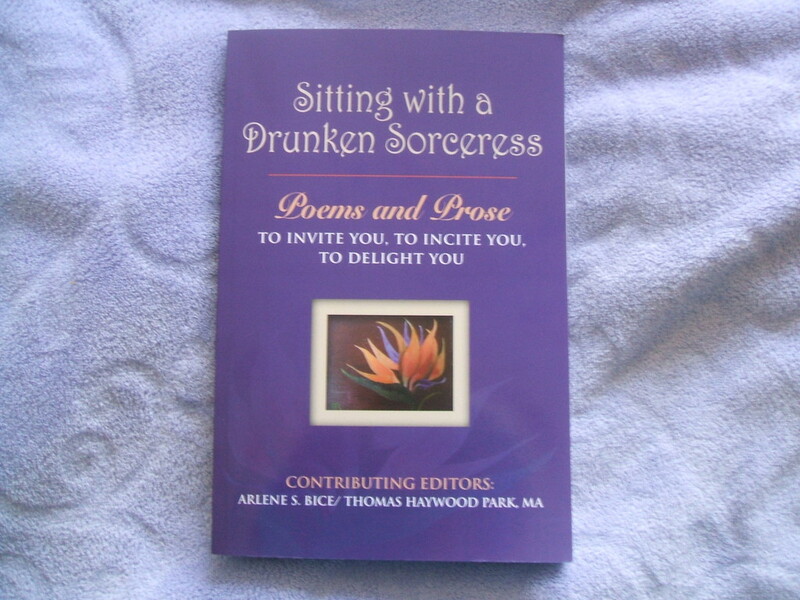 Now, surely, Sitting with a Drunken Sorceress will be available for purchasing before the new year. Hmmmm. I wonder about that drunken sorceress. It is nearly here, books are expected to be available in a week or two. read and enjoyed or wept over. soon forgotten by the speaker. soaking into the heart; it stays. that no one knows is there. 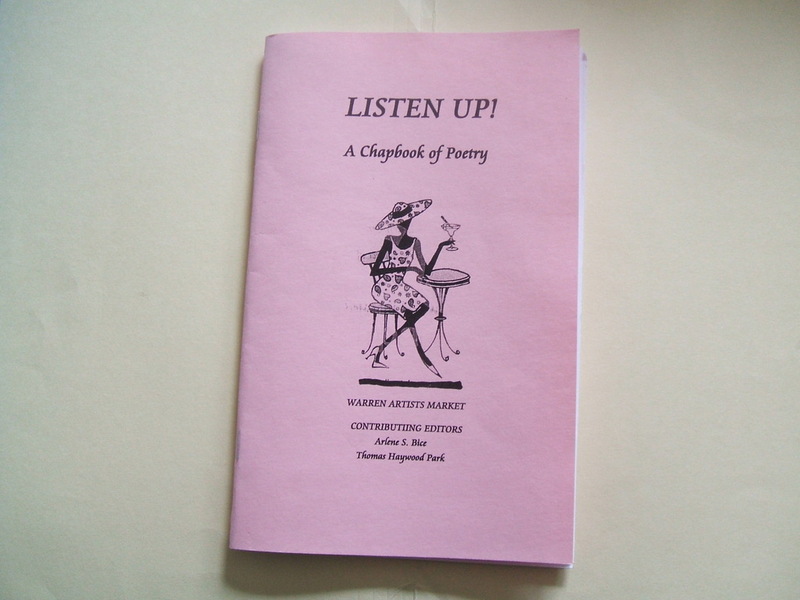 Today is a day for a guest to have her poetry featured on my blog. Deanie Carter was born in Skippers, Virginia. She is a double jointed contortionist that at 61 years old, performed on television. She has won gymnast competitions and is a cancer survivor who has been writing poetry since she was eight. When she won the Golden Poet Award in 1987, she traveled to Las Vegas to receive it. Her poetry has been published in Quail Books, Coming Home Magazine, other publications and lately featured in Listen Up! a chapbook that is the result of writing sessions at the Warren County Senior Center, sponsored by the Warren Artist’s Market (WAM). We’re talking North Carolina here.